Bull started the conversation by asking Sellers what parts of MLK’s legacy he sees enduring, more than half a century after the civil rights leader’s death. Sellers: One of the most difficult things that we have to grapple with is the fact that his legacy has been whitewashed. And people attempt to look at Dr. King for something that he was not. People fail to remember that Dr. King was a tried and true revolutionary, period. And when you look at his legacy, things like his quest for social justice, his quest for equality, understanding the plight of the working class. I oftentimes remind people that Dr. King was in Memphis, Tennessee, the day he was taken from us protesting with sanitation workers. And so when you think about that, when you think about scripture and everything else, and when you’re talking about the least of these, you see where his efforts were when he died, I think a lot of those messages still carry on today. No we have not reached the mountaintop, and no we are not there yet, but Dr. King’s legacy still lives on and still is a challenge set forth for us all today. Bull: What do you consider the most important civil rights issue facing the country today? Sellers: There’s not a “most”. There’s not an “est”. There’s not a “biggest” or there’s not a “most important.” I think… we live in communities where kids go to school where the heating and air don’t work, where their infrastructure’s falling apart or you’re punished for the zip code you’re born into. So you have those inequities in our education system. You have over a hundred communities, many of which are black and brown. I’m talking about Hispanic, black, Native American communities where they have higher lead concentration in their water than Flint, Michigan. So you have these environmental inequalities. You have working class issues, and the working poor. And contrary to my good friend, Bernie Sanders, when I say “working class” I don’t just mean white folk, I mean working class across the board who are still struggling to live paycheck to paycheck. We have a criminal justice system which is in tatters which thrives on the back of many people who look like me. And so when you look at all of these civil rights issues of our time, we’ve made a lot of progress but we still have yet a ways to go. Bull: When TIME Magazine interviewed you for its “40 under 40” segment, (Sellers: That was a long time ago!) you said you read a conservative blog in South Carolina. In these politically polarized times, it seems significant that anyone would peer across the aisle at the other camp’s ideology. Do you think America could be better unified if everyone did this? Sellers: Well, I used to watch…when I was in law school, when I was a new legislator and running for office, I used to “The O’Reilly Factor”. I used to watch “106 & Park” and the “O’Reilly Factor”, which is a strange combination to say the least. The reason being, because my father would always say, “You have to know what they’re saying about you.” And this is, understanding what the other side is saying. But I have a lot of good friends of mine who are Republican, I have a lot of good friends of mine who are conservative. I have friends who voted for Donald Trump. So I don’t know if we’ll be better served, I don’t think I’m atypical, but I do think we have to get out of our individual silos, and listening to our own choruses and choirs, and begin to have conversations with people. Sometimes we have conversations that are only 240 characters on Twitter, or we only want to speak to our proverbial choir. None of that is healthy. And so dialogue is very helpful. Not only do we have to begin to speak, but sometimes it’s good for us to shut up too, and listen. Bull: Your name’s been mentioned as a potential candidate for the South Carolina governorship come 2022 (Sellers laughs). Are you setting your sights on office again? Sellers: Yeah, I’m running for office again. I don’t know if I’ll be run for governor in 2022. I’ve made no hesitations that I want to run for United States Congress in the 6th Congressional District. I’m in one of those districts that many African-Americans in the South find themselves in, which is where you have a congressman who’s been there and done great work for 20-30 years. And so we’re just biding our time and waiting. I’ve had an awesome opportunity to do some introspection. Getting elected at 20, 21, serving your entire 20s in a fishbowl and you know, doing all those things in elective office. And then being able to step back and realize that you were nowhere near as important as you thought you were. It’s healthy. And so yeah, I think I’m ready to get back in, we’ll just be there and be ready when the opportunity presents itself. Bull: As a CNN analyst and commentator, Mr. Sellers, what do you consider your most provocative commentary so far? Sellers: My most provocative commentary….uhm, first of all, I believe all my commentary to be rooted in truth, but I think my most provocative commentary came ahm…(laughs) they way I judge my most provocative commentary actually, is by a lot of my friends on the right: the Rush Limbaughs, and the Daily Callers, and all of those web sites and Fox News, and Fox and Friends, who pick up my comments. But I would have to say it was my criticism of Kanye West. 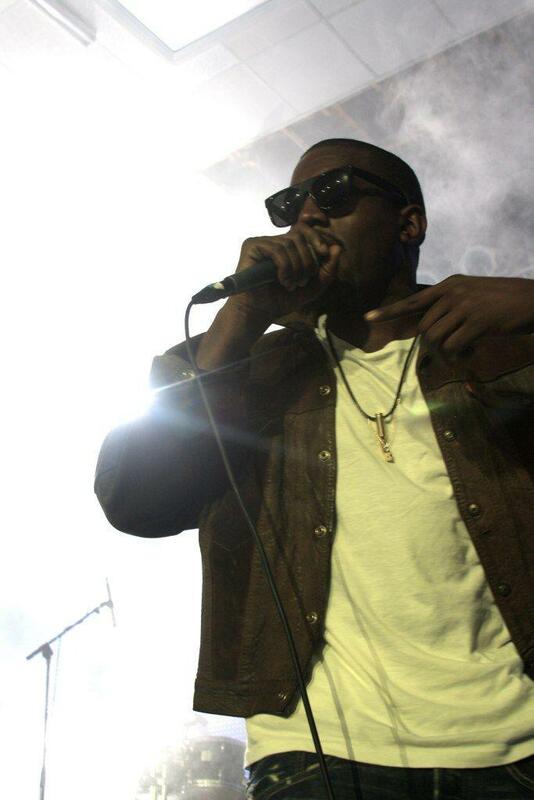 Rapper Kanye West, in concert. Kanye West is an avid non-reader, and I made the comment which I wholly believe to be true, that Kanye West is what happens when Negroes don’t read. And Kanye didn’t appreciate it, and neither did my friends on the right. However, I still believe it to be a true and accurate -yet provocative and sensationalized- opinion. Bull: And lastly, do you think we’re looking at significant change and upheaval in the coming year? Sellers: You know, we’ve been admonished, and I’ve admonished my colleagues on CNN all the time, to never say ‘It can’t get any worse than this.” Like, please stop saying that! Because it seems like the next day it always does. I live one day at a time. I’m not a “what happens in a year” person. I do believe in what Abraham Lincoln called the “better angels of our nature”. I think that we have a long way to go in this country, I do not think anything will get done in the next 360 days now, 58 days. And I absolutely know nothing will get done during a presidential election year in 2020. So I’m not sure if we’ll have upheaval, I just think we’ll just have more of the same. Bull: And just generally, have you been to Oregon before? Sellers: This is my first time, I’m pleased with the lack of humidity. It’s a beautiful, beautiful place. Had a great, great Chinese food experience last night. And one of the things that reminds me of the South, is that when you speak to people they speak back. And so that’s a very kind place and I appreciate that. Bull: Bakari Sellers, thank you very much for your time. Sellers: No, thank you for your time. 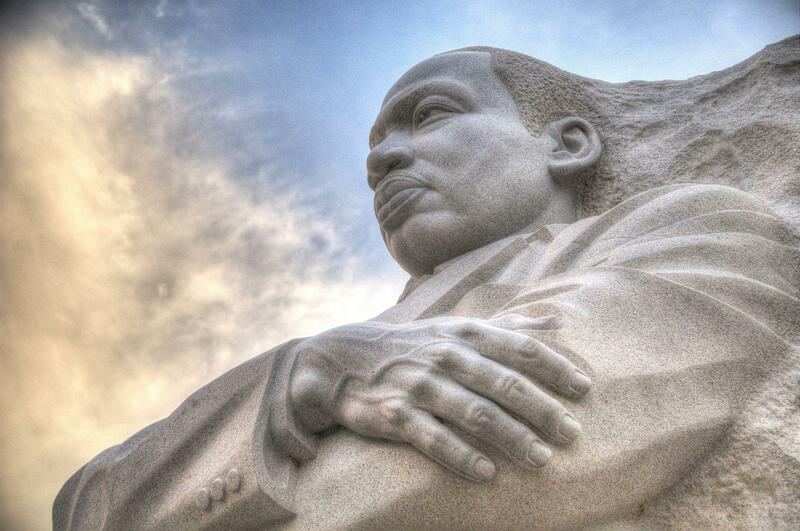 The University of Oregon is celebrating the legacy of Dr. Martin Luther King Jr. this week. April Ryan, the White House correspondent for American Urban Radio Networks (AURN) delivered the keynote address Tuesday on campus. 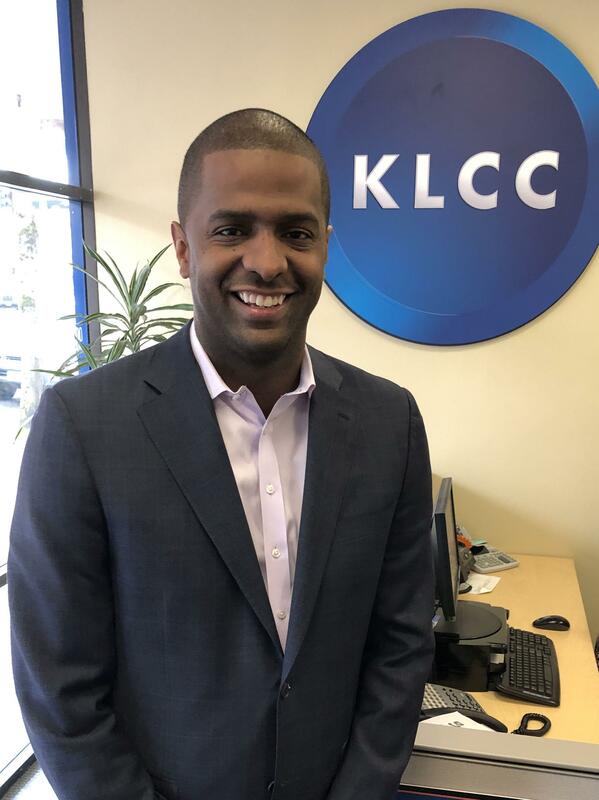 Local NAACP and Community Partners Celebrate Martin Luther King Jr.
For about three decades, the Eugene/Springfield NAACP and various community partners have been celebrating the life and work of Dr. Martin Luther King Jr. Local NAACP president Eric Richardson says 2018 marks fifty years since King was assassinated. Temple Beth Israel in Eugene is hosting a nationally-renowned speaker Sunday to discuss the rise in anti-Semitism and white nationalism.